Cellular Health Inc. a holistic health and wellness company owned and operated by Jackie Latimer. She is an experienced professional who has been in the holistic field for over 35 years. 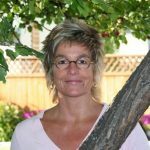 Jackie offers holistic therapeutic services and lectures and teaches holistic courses locally and internationally. Face Analysis, Body-Mind Analysis Therapist & Instructor. Cellular Health Inc. is conveniently located in central Edmonton, in the Westmount area. We offer therapeutic appointment times Monday through Friday. Please contact us at (780) 482-7978 to discuss your health care goals and schedule appointment times in advance.